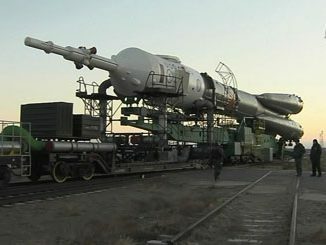 The Russian Soyuz MS-03 spacecraft and booster rocket were rolled out to the launch pad at the Baikonur Cosmodrome on Monday in preparation for liftoff Thursday at 3:20 p.m. EST (2020 GMT) on a two-day trek to the International Space Station. 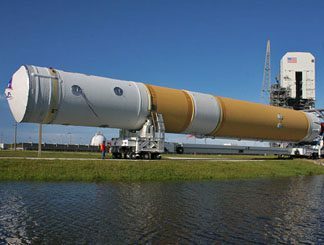 The Delta 4 rocket that will launch the U.S. military’s highest capacity communications satellite ever built was rolled to the pad this week. 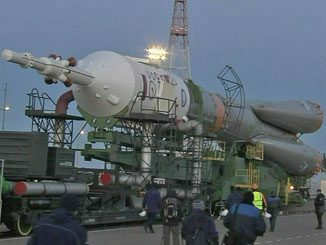 The Russian Soyuz MS-02 spacecraft and booster rocket were rolled out to the launch pad at the Baikonur Cosmodrome on Sunday in preparation for liftoff Wednesday on a two-day trek to the International Space Station. 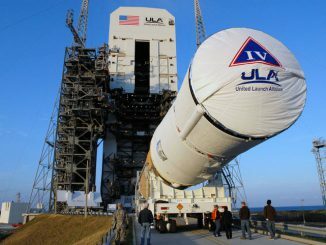 Just three weeks after the Delta 4-Heavy rocket left the launch pad on its way to a successful satellite-deployment mission for U.S. national security, a smaller booster in the family has rolled out for its August military flight. 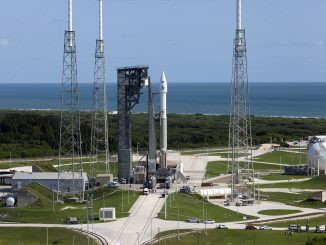 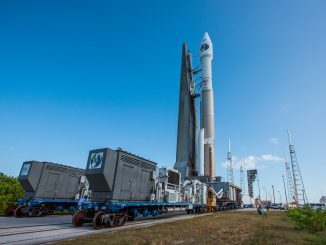 The United Launch Alliance Atlas 5 rocket was rolled to the pad today at Cape Canaveral’s Complex 41 in preparation for Friday’s liftoff. 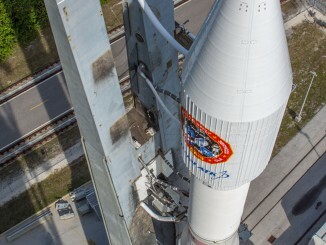 The flight will deliver the Mobile User Objective System satellite No. 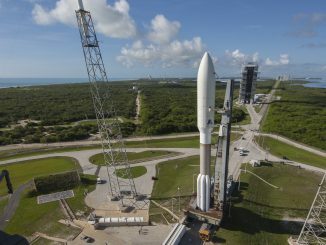 5 into orbit, fulfilling a five-launch, four-year effort to assemble the military’s secure smartphone mobile communications network. 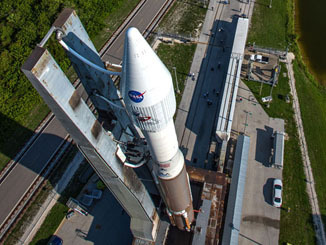 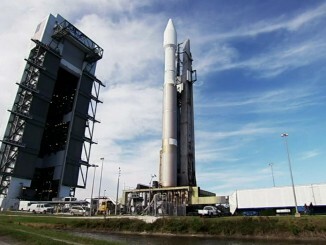 Launch is scheduled for 10:30 a.m. EDT (1430 GMT).